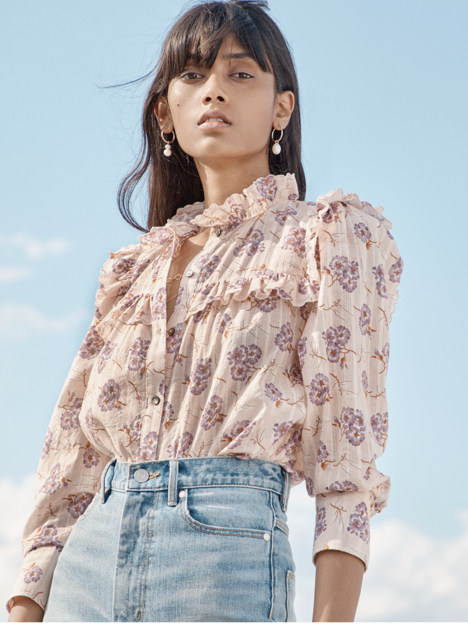 Detailed with peek-a-boo embroidery and trimmed with ruffles, this top will add a sense of nostalgia to your seasonal wardrobe. Detailed with peek-a-boo embroidery and trimmed with ruffles, this top will add a sense of nostalgia to your seasonal wardrobe. Its midnight hue complements the light-wash denim of the moment.